The European Landowners’ Organization (ELO), created in 1972, is a unique federation of national associations from the 28 EU Member States and beyond, which represents the interests of landowners, land managers and rural entrepreneurs at the European political level. Independent and non-profit making, the ELO is the only organization able to stand for all rural entrepreneurs. The ELO promotes a prosperous countryside through private property dynamism. Its Secretariat is based in Brussels. For this project, ELO will provide inputs to the WP leaders in different tasks and focus on dissemination activities. Ms. Marie-Alice BUDNIOK, French, Director for legal and administrative affairs. With 14 years’ experience of lobby and project management, she is specialized in environmental, energy, communication and legal issues. 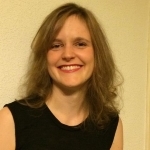 She participates in various EC advisory, expert groups and is managing the call for tenders and has been responsible for successful implementation of more than 10 European funded projects as project supervisor (Prince, IEE, Life+, FP7, Erasmus+, H2020 etc). Ms. Servane MORAND, French, Project Assistant. 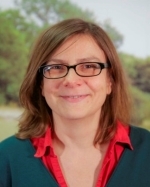 With experience in environmental management and nature conservation, she participates in various European projects (Erasmus+, LIFE, H2020) on agriculture, energy and biodiversity.